Mothers Day 2018 is fast approaching and this year we promise to do something really special for mum - she deserves it. We’ve put together this special list of awe-inspiring Hamilton Island activities for mum as we thank her for all she does; this will be a Mothers Day to remember. A night or two at Hamilton Island’s extraordinary Beach Club will not be forgotten in a hurry. With uninterrupted views of Catseye Beach, guests enjoy beachfront access to the Coral Sea and private terraces for an intimate holiday experience. This is an adult’s only resort, so mum is guaranteed a weekend dedicated to total relaxation and indulgence. Enjoy the private infinity edge pool, club lounge and world-class restaurant before stepping out to the pristine island beyond. Each year Hamilton Island hosts the Mothers Day Classic ‘fun walk and run’, encouraging the family to get out to support and remember women with breast cancer. Dressed in their favourite pinks, attendees can partake in a 4km or 7.5km course. Starting and finishing at the island marina, celebrate the morning with a traditional Australian sausage sizzle while enjoying the free entertainment and activities on offer at the conclusion of the event. Treat mum to a day long sailing adventure on board the Camira, a 85ft state-of-the-art catamaran. Glide across the azure-blue Whitsundays waters as you relax on deck, exploring secret coves, experiencing the dazzling Whitehaven Beach and swimming through the crystal waters. The tour includes a barbeque lunch, morning and afternoon tea and plenty of refreshments over the day, leaving mum free to soak up the blissful tropical lifestyle. For a once in a lifetime bucket list experience, soar across the Great Barrier Reef for a spectacular 90-minute air show. 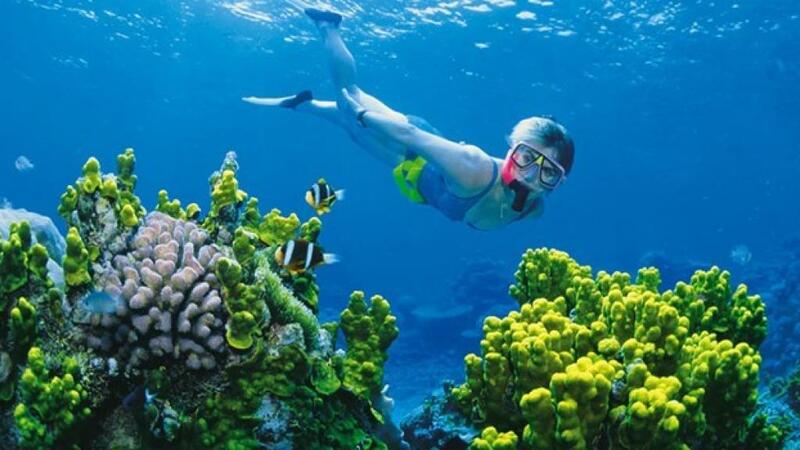 Mum will experience the wonder of the reef from above as pure blue waters, remarkable coral rainbows and pristine beaches slip by below. This is truly a gift that will last a lifetime, a moment to never forget.